When will be Any Given Wednesday with Bill Simmons next episode air date? Is Any Given Wednesday with Bill Simmons renewed or cancelled? Where to countdown Any Given Wednesday with Bill Simmons air dates? Is Any Given Wednesday with Bill Simmons worth watching? Any Given Wednesday with Bill Simmons is a weekly talk show hosted by one of the most influential figures in contemporary sports media.Spanning pop culture and touching on everything from sports and entertainment to arts and technology, Any Given Wednesday with Bill Simmons will feature intimate conversations with compelling guests each week. The show will also include field segments and Simmons' signature commentary on current events. Guests include network sports broadcasters and authors Bob Costas and Al Michaels and rapper/comedian Vince Staples. 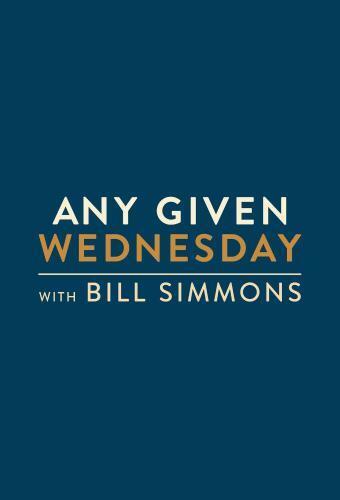 Any Given Wednesday with Bill Simmons next episode air date provides TVMaze for you. EpisoDate.com is your TV show guide to Countdown Any Given Wednesday with Bill Simmons Episode Air Dates and to stay in touch with Any Given Wednesday with Bill Simmons next episode Air Date and your others favorite TV Shows. Add the shows you like to a "Watchlist" and let the site take it from there.